You are here: Home » Outside Tibet » Dharamsala » Will scrapping Nori, online processing of Return Visa, Exit Permit ease overseas travel for Tibetans in India? 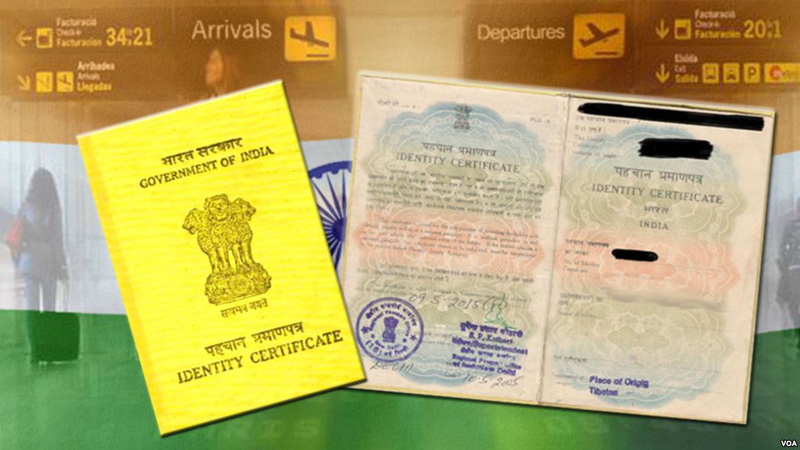 (TibetanReview.net, Aug03, 2018) – In what has been presented as an easing of the rules for Tibetans in India wishing to travel abroad, the government of India is said to have done away with the process for stamping their travel document, known as the IC (Identity certificate), with Nori (“… no objection to return to India, provided …”). Besides, Tibetans can now apply for their Return visa and Exit Permit online, said the Central Tibetan Administration (CTA) on its Tibet.net website Aug1, citing President Lobsang Sangay. However, it is too early to say whether these changes will make it more convenient and speed things up for Tibetans seeking to travel abroad. The policy status of Tibetans living in India, unless they have obtained citizenship – whether by naturalization or assertion of legal right – is that of temporary residents. Presently it takes more than one year for a Tibetan to be issued an IC and it is not clear whether doing away with the Nori stamp will speed up the process. Until now, even with a Nori stamp, a Tibetan still needs to obtain a Return Visa from an Indian Embassy or Consulate abroad to be allowed to return to the country. Exit Permit is required for a Tibetan to be allowed to leave India for any overseas travel. Return Visa is insisted upon, in addition to the Nori, by some embassies as a condition for issuing visa to a Tibetan. It is not clear whether applying online for the Return Visa and Exit Permit will speed things up and dispense with the requirement for personal presentation for obtaining them. This is because while the application for renewing the temporary Permit to Stay in India, the RC (Foreigner’s Registration Certificate), could be made online since some years back, a Tibetan has to still personally present all the required documents to the Foreigners’ Regional Registration Office, get an appointment date from there, and then duly present oneself on that date for obtaining the renewal. The online process for obtaining the above two documents is presently applicable to eight regions and excludes few Tibetan settlements, said the Tibet.net report. Thanks Sikyong and all IC related officers of bureau office, New Delhi for making easier for Tibetan IC. One more request from many Tibetans is “please try to change the name – IC into Travel Document” so, international immigration officers can easily recognothis this book as a travel document.